3 Bedroom Detached Bungalow For Sale in Ryde for Asking Price £325,000. 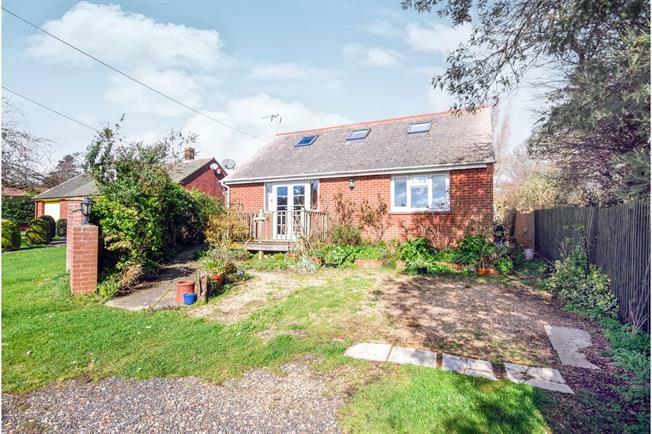 Tucked away in a quiet cul de sac is this lovely 3 bedroom detached bungalow coming complete with garage, multiple off road parking & mature garden. Offering pleasant views of the neighbouring countryside, this well presented chalet bungalow consists of a large attic conversion providing a huge master bedroom with sizeable ensuite & the best views while downstairs offers a large kitchen diner leading onto a stunning conservatory, good size lounge with sunny balcony, a further double bedroom plus smaller bedroom/study & the bathroom. To the rear this home offers a very pleasant, south east facing, mature yet low maintenance garden, often frequented by the local wildlife. The location has a very rural feel yet is close to the beach at Duver, bus route & local amenities while the main town of Ryde is just a few minutes drive away.